The aim of this work is to develop a simulation model of the caterpillar drive, in order to determine at the development stage output characteristics during movement under varying input parameters. This is achieved by developing a dynamic model, a mathematical model and a simulation model of a caterpillar drive. These results characterize synthetic mineral alloys as material with a good capacity for energy dissipation. In the process of a high velocity impact on synthetic mineral alloys, the kinetic energy is transformed into the wave energy, which is proof that structure of synthetic mineral alloys kinetic energy dissipated experiencing multiple conversions with transformation of structure.The present results prove that synthetic mineral alloys relates to the field of bomb resistant and specifically to methods and articles for protecting an object from kinetic threats. Although the material has been described in conjunction with specific embodiments, it is evident that many alternatives, modifications and variations thereof will be apparent to those skilled in the art. The object of this research paper is cation surface active substances, used for disinfection. The experiments were conducted in pure original laboratory conditions at different temperature and concentration intervals. The propounded methodology and experimental results are applicable to assess the operational qualities of disinfecting substances. All embedded systems need high performance and high energy efficiency for their faster real-time task execution. These can be achieved only with the implementation of new innovative technology on higher level than the processor, power battery and standardized test by the EDN Embedded Microprocessor Benchmark Consortium. The big.LITTLE technology is the reason so many users to enjoy the big performance and high power efficiency in their pockets nowadays. The MTSP is a generalization of the traveling salesman problem where there are multiple vehicles and a single depot. In this problem, instead of determining a route for a single vehicle, we wish to construct tours for all M vehicles. The characteristics of the tours are that they begin and end at the depot node. Solution procedures begin by “copying” the depot node M times. The problem is thus reduced to M single-vehicle TSPs, and it can be solved using either the nearest neighbor or Clark and Wright heuristics. The classic VRP (Vehicle Routing Problem) expands the multiple traveling salesman problem to include different service requirements at each node and different capacities for vehicles in the fleet. The objective of these problems is to minimize total cost or distance across all routes. Examples of services that show the characteristics of vehicle routing problems include different Services deliveries, public transportation “pickups” for the handicapped, and the newspaper delivery problem etc. The present work is motivated by the tremendous interest in the semiconductor nanostructures. The study of the quantum confined Stark effect (QCSE) in semiconductor superlattices and semiconductor quantum wells has attracted a lot of attention, as it is important both for fundamental physics and in devices for optoelectronic applications. The present paper is a brief review of the main electronic properties, which are the basis for the QCSE device applications of semiconductor superlattices and semiconductor quantum wells. This paper presents values comparison of friction coefficient inside ball joints depending course given by the vehicle, period of exploitation and the vehicle brand. Friction coefficient were defined on the contact surface between steel ball joint pin and the ball joint seat made from plastic covered by PTFE. For the selected working pair of the elements comparison of friction coefficient in load function are done. The preform of the measurements methodology and the test bench are additional show in the paper. In this article the author describes particular maintenance systems used in the past, some of which are used also at present. The basic maintenance systems include maintenance after use, preventive maintenance with predetermined intervals, and conditioned-based preventive maintenance – predictive maintenance. The current trend in the field of vehicle maintenance tend to continous monitoring of their actual status. By the help of a vehicle monitoring in use, it is possible based on current operating parameters to determinate the technical condition of the vehicle parts. Ideally to prevent the failure or damage of groups of vehicle. Tracking of vehicles in use can be effected through the telemetry. Telemetry is a technology that allows remote measurement and reporting of information. The paper deals with ways of applying mathematical methods to evaluate the result of tribodiagnostics related to vehicle combustion engines. The idea is based on a discriminative analysis that makes possible to describe one qualitative parameter (complex technical state) by means of several quantitative parameters (i.e. quantity of diagnostic parameters). The results have been verified by means of considerable statistical data of T-3-930 engines made in the Czech Republic which are used in ground vehicles. Article discusses about the use of heat exchangers for stationary combustion engines and cogeneration units. 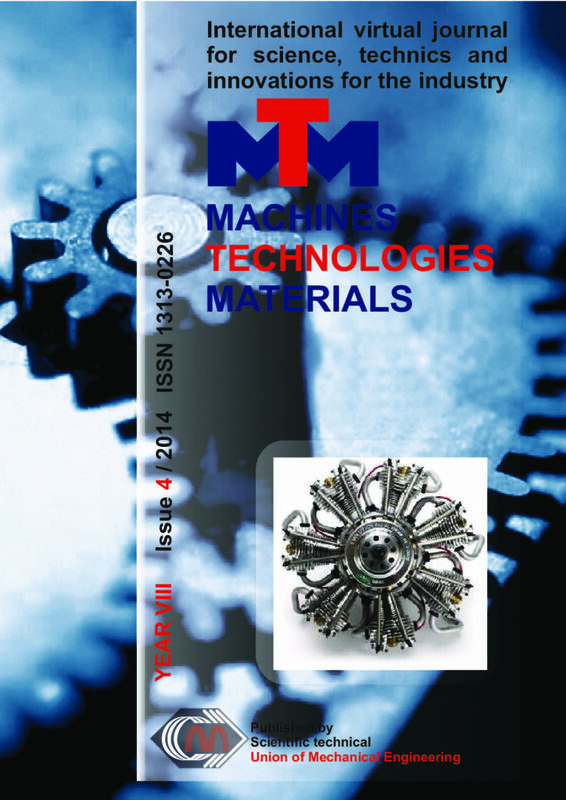 The paper is dedicated to the problem of unused thermal energy in stationary engines. It analyzes possibilities of accumulation of heat energy and its possible application in various fields. The paper deals with the classification of heat exchangers and with the subsequent description of design solutions of heat exchangers types used in given field.